Nearly nine out of 10 of us will suffer chronic back pain at least once in our lives, so the odds are pretty good that your number will come up at some point. If you suffer from back pain, you can feel a whole lot better by taking a look at what may be causing or worsening your pain…then doing something about it! If your job requires you to sit for long periods of time, it’s also helpful to get up and move around as much as you can (once an hour is ideal) or at least take a quick stretch break by sitting up straight and reaching your hands up toward the sky. Dehydration can also eventually cause muscle weakness, and when the muscles surrounding your back are involved, you can get back pain. Take an honest look at your beverage habits. If you can’t remember the last time you drank anything but coffee, soda or alcohol, or your urine is dark yellow all day long (and not just first thing in the morning), chances are excellent you may be dehydrated. Try to drink at least eight 8-oz. glasses of water (not juice, sports drinks or other beverages—just plain WATER) a day and see what a difference it can make in your level of back pain. Ours is a society that is rampant with chronic inflammation, which is mainly the result of our diets—specifically eating inflammation-causing processed foods and getting too few of the Omega-3 essential fatty acids that our bodies need to control inflammation. Concentrate on real foods like vegetables, fruits, meats, poultry, fish, dairy, eggs and healthy fats. Incorporate anti-inflammatory herbs and spices into your meals like garlic, ginger, cinnamon and turmeric. Do most of your grocery shopping in the outer perimeter of the store where the real foods are located and skip the processed, packaged convenience items beckoning from the center aisles. And drive by the drive-thru too. Fast food is just as bad as processed, packaged food. Processed foods and our current farming practices have created wide-ranging deficiencies of Omega-3 essential fatty acids…and we’re paying the price with our health. Much of the oil used in the manufacturing of processed foods and in our cooking oils are inflammation-stirring Omega-6 fatty acids. Plus the animals raised for our meat and milk consumption are not allowed to graze in Omega-3 rich pastures anymore—instead they’re fed a grain-based diet, which is also rich in Omega-6 EFAs. Although your body does need some Omega-6 EFAs, the problem is we’re getting way too many, along with too few anti-inflammatory Omega-3s. And this imbalance is a primary source of our chronic inflammation. In addition to eating natural sources of Omega-3s like fatty fish, a top-quality fish oil supplement like VitalMega-3 can be a big help. VitalMega-3 provides 1,200 mg of Omega-3 EFAs in every daily two-capsule serving. This includes 600 mg of EPA and 400 mg of DHA—the crucial Omega-3 EFAs that are recommended by many health experts. Since back pain is commonly the result of spinal nerve inflammation, B12 with its "nerve-soothing" properties can actually help reduce pain. In addition, research studies have shown that vitamin B12 has anti-inflammatory properties that help in correcting degenerative disorders of the lumbar spine (which become more common as we age). If you've got chronic back pain it may behoove you to see if vitamin B12 deficiency may be a factor! Hydroxaden 2.5 is a B12 spray that you spritz right under your tongue each day. The B12 can be quickly absorbed into your bloodstream through the mucus membranes in your mouth. A B12 spray like Hydroxaden 2.5 can be more efficient than oral supplements (which can have varying absorbency rates depending on your level of stomach acid), and is a lot less costly and more convenient than B12 shots. It’s easy to see why. Your circadian rhythm (your sleep-wake cycle) actually influences the rhythms of the biological activity of your cells…so if your sleep habits are not-so-good, restless or otherwise interrupted, that can affect the health of all of your cells. And lead to chronic back pain over time. When you look at all the possible factors that may be behind your back pain, and take natural measures to counteract them, a whole new life free of back pain can become your reality! We appreciate your feedback, Thomas! Have a wonderful day! I was wondering that I had been suffering from back ache for last one month and while taking pain killers that did not help. 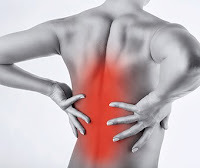 You have provided some fine reasons of having back ache and now I will practise all the points that you have raised and will also go to osteopath to have some therapy to increase the relief process. We are pleased to hear that you found the information helpful and hope that you are able to find relief. Have a wonderful day, Adriana! Most people have back pain at some point in their lives. Most of the time, back pain symptoms aren't due to a serious health issue such as arthritis or a fracture. In fact, the culprit could be as innocent as your mattress or your favorite pair of shoes. If you experience back pain after an injury or if your back pain is severe or lasts more than a few days, see your Back Doctor. In the meantime, be aware that some of your everyday habits could be contributing to your pain.